Improve accuracy and efficiency by eliminating the paper chain of custody. 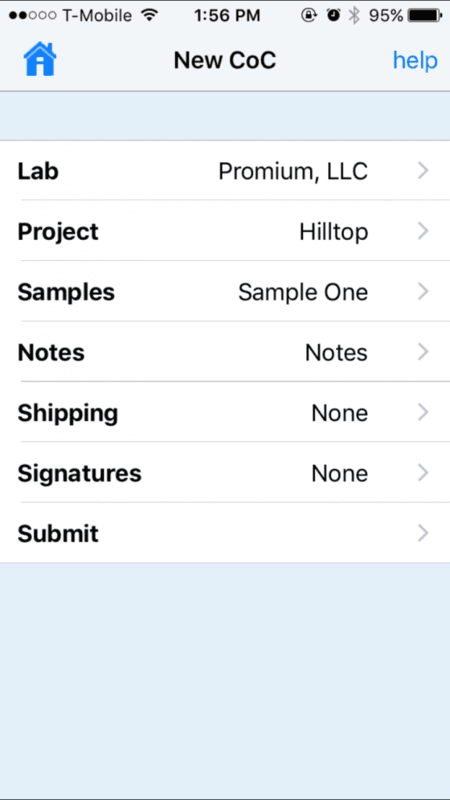 Enter sample data from the field using a mobile device and upload the information directly to the laboratory. EnviroChain mobile apps make field data collection more efficient and accurate. When you connect with a lab that also uses EnviroChain you reduce costs while improving efficiency and accuracy. Replace thousands of pieces of paper with one accurate, efficient, and reliable online service. In the same way that online banking is replacing check writing, and email is replacing snail mail, the online chain of custody service is providing you with a streamlined and cost effective way to improve and accelerate the flow of data and samples. There is no fee for a sample generator to submit samples with EnviroChain. 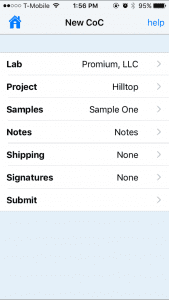 Ship the samples off to the lab and send sample data directly from the field to the laboratory information management system. The data will be downloaded before the cooler even arrives. Simply register for EnviroChain, follow the step-by-step workflow and submit your CoC to the selected lab. There is no charge to submit samples. 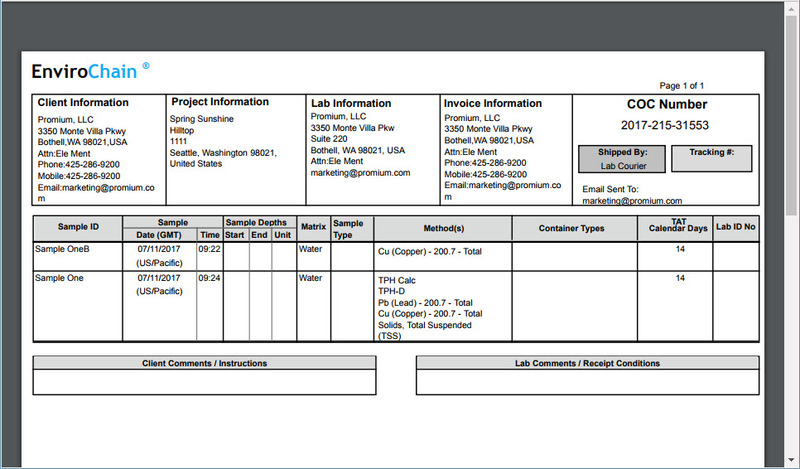 Instead, the lab is charged for each transaction received. If the lab doesn’t have EnviroChain implemented yet, you can still automate your process by using EnviroChain to produce an electronic CoC image. The lab will promptly receive an email with the CoC. Automating data collection and sample submission saves you and your team time. EnviroChain features and functionality developed specifically for organizations that require environmental testing of soil, water, air, cannabis, and food. 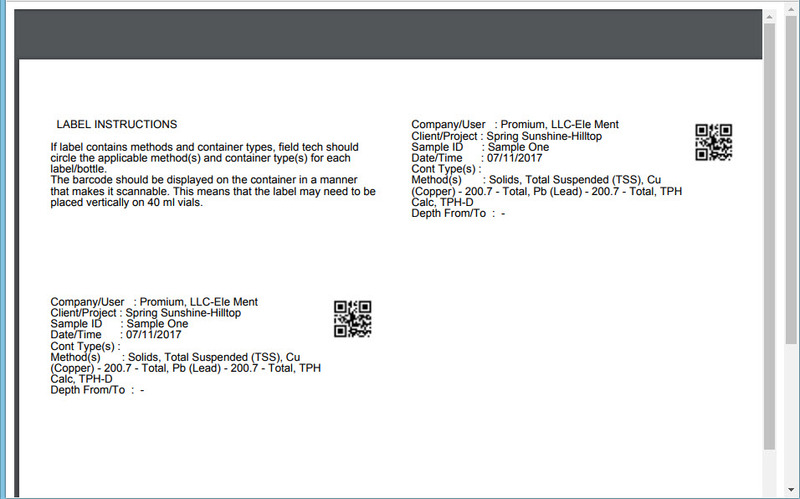 Direct integration with Element LIMS and API integration with other LIMS applications. Use your phone’s geoloction capability to tag your sample location. Use pre-entered analysis to save time and eliminates errors or start a new CoC. Additional information including articles, User Guide, and FAQ. is instantly getting my information.